Test tubes are isostatically molded in pure PTFE and feature heavy wall construction. They are guaranteed to be chemically inert and crack-free. May be used at temperatures ranging from -196°C to +280°C (-321°F to +536°F). Three sizes available: 8, 17 and 50ml. 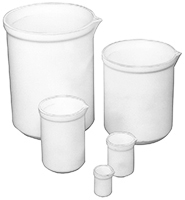 Funnels are isostatically molded in pure PTFE and feature heavy wall construction and a super smooth non-stick internal surface. Totally chemically inert and can be used at temperatures ranging from -196°C to +280°C (-321°F to +536°F). Ideally suited for cryo applications. Three sizes available: 50, 70 and 100mm diameter. 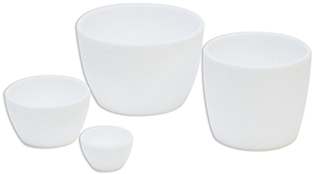 Scoops are made of totally chemically inert PTFE. Smooth inner surface for ease of use. Scoop is 20mm high, 30mm wide and 80mm long. Overall length is 140mm.